Hey, Sweethearts! If you've been following me on Twitter, you know that this past weekend was my first trip to Tampa! "Like a Virgin" as the song goes. Hard to believe, I know, and I was excited to head to the west coast of Florida mainly for the WaZoo Beer Fest at the Lowry Park Zoo. After all, a beertrip is always a good reason to travel somewhere! I stayed at the Residence Inn Westshore by the airport (which I recommend), and it was a good location for getting around. Tried to stay fairly close. But, thank goodness for Google Maps! On the next visit that way, I intend to hit some other places closer to the coast, as this entire area is booming with craft beer! (so, yeah, don't hate me if I didn't make it to see you) This trip was an awesome introduction to the area! 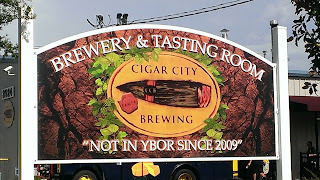 First up, in this post, the maiden voyage to Cigar City Brewing. Once you figure out that the larger lot on Spruce St. is an overflow parking lot and that the old Sears Roebuck building isn't the brewery, it's a quick walk across the street to where you really are trying to go. ﻿The tasting room consists of two sections, the front being the original tasting room. The on-tap brews are identified on the digital screen over the bar, and the beers change as they are put on tap. I did a double take a couple of times because "that wasn't on there a minute ago." I started off with Hotter Than Helles lager - tried and true. I also tried several others, including the peanut lager, Nutoberfest, and the Pineapple Ale. Those latter two weren't really my thing, as I thought the flavors overpowered the beer, but, hey, that's just me. However, I loved the Jose Marti American Porter (8%). I also tried the Torcedores Series Ben Romano's India Pale Lager (5.9%). That one was a bit too bitter for me, but, then again, I can be a wimp sometimes. Really wanted the imperial stout, but at 11%, I thought I'd save that for another time (and probably another place which doesn't involve driving while relying on the aforementioned Google Maps). The overall place is huge: two brewhouses, a packaging warehouse, the tasting room. It's like its own compound that takes up an entire block. 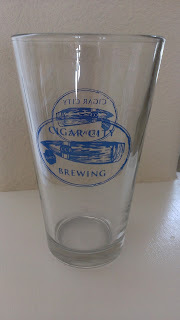 Inside the tasting room is a shop where you can buy shirts, hats, glasses, and stuff. There's also a small café that is open limited hours, and a food truck also comes to the site. And, there's a guy who makes hand-made cigars. 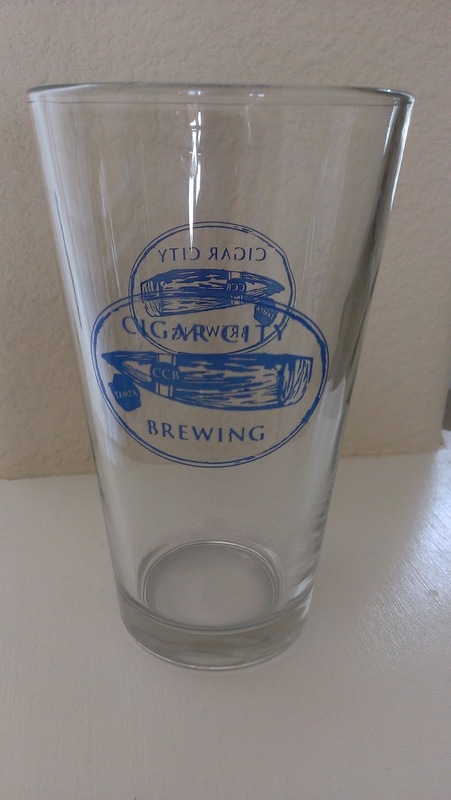 Of course, we added a new pint glass to the collection. 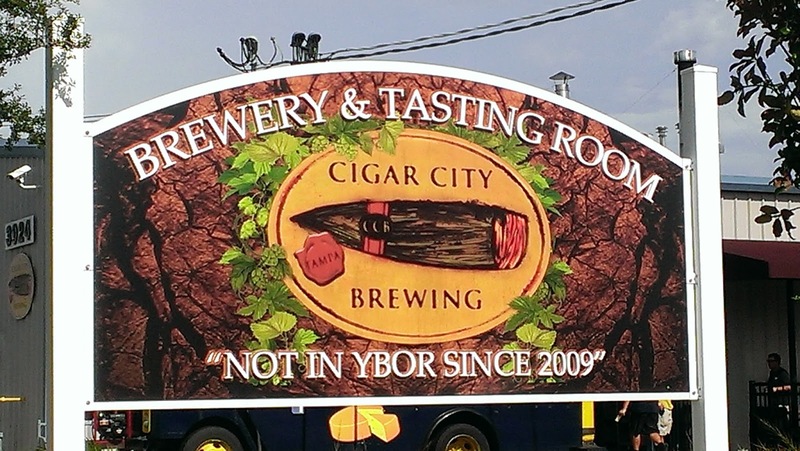 Cigar City is innovative, and the brewers always come up with new flavors for beers. Can't argue with the success this brewery is having.